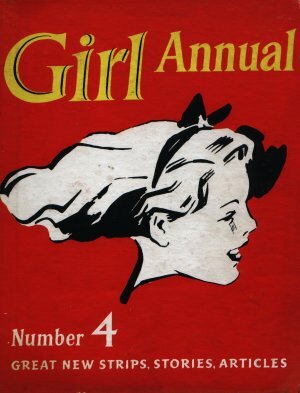 Girl Annual 4 mirrors the style of the Eagle annuals closely, offering a suitably feminine mix of stories and articles thought to be suitable at the time. The inner front and rear covers contain photographs of the Royal Family. Dimensions : 21cm x 26.5cm with 176 pages.